Home • What is Acaté? 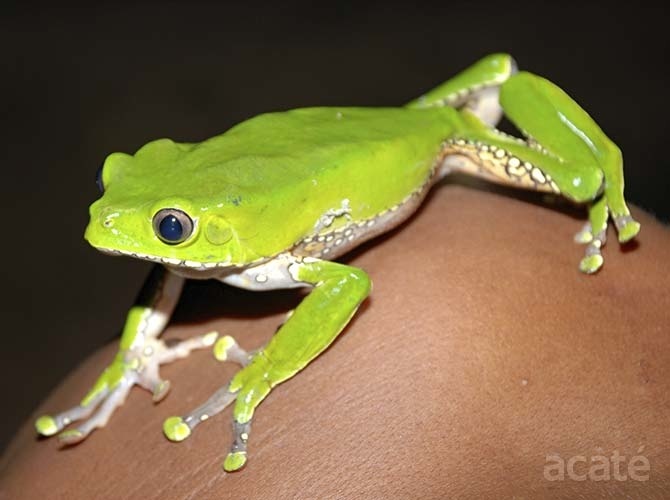 Acaté (ah-KAH-teh) is the Matsés word for the giant monkey tree frog (Phyllomedusa bicolor). 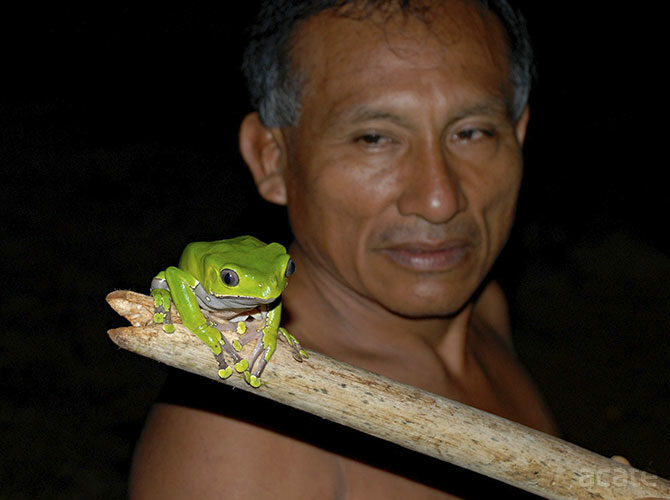 Known for its mind-altering skin secretions, the giant monkey frog is used in hunting rituals by the Matsés and a small handful of tribes living in the Amazon Rainforest between Peru and Brazil. The secretions, rich in a diversity of bioactive peptides, are administered directly into the body through application onto fresh burn or cut-wounds. Within moments, the toxins induce intense cardiovascular and autonomic responses, ultimately leading to a state of altered consciousness and heightened sensory acuity. For the Matsés, ceremonial use of acaté confers not only strength and courage to an individual but is a medium for transmission of knowledge among participants. For these reasons, we adopted Acaté as the name for our organization in recognition of the cultural significance of this extraordinary creature of the rainforest. Although its range extends across northern Amazonia, only the Matsés and a small number of neighboring tribes are known to use its powerful secretions. 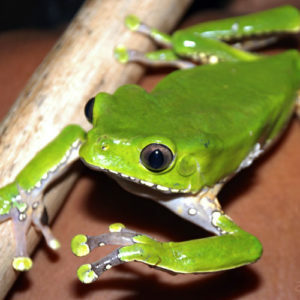 After reports of its use emerged from the forest, investigations of the frog’s secretions in the laboratory revealed a complex cocktail of peptides with potent vasoactive, narcotic, and antimicrobial properties. Several pharmaceutical companies and universities filed patents on the peptides without recognition of indigenous peoples for which it has long held a unique and important role in their culture. As scientists, we cannot afford the luxury of an ethnocentric snobbery which assumes that primitive cultures have nothing whatsoever to contribute to civilization. Our civilization is, in fact, a compendium of such borrowings. Indeed, a good case could probably be made that, in the long run, it is the ‘higher’ culture which benefits, the more thoroughly being enriched, while the ‘lower’ culture not uncommonly disappears entirely as a result of the contact. Yale Anthropologist, Weston La Barre, Ph.D.
© 2013-2019 Acaté Amazon Conservation is a registered US 501c(3) nonprofit.